It’s been a two outfit day in Paris today. 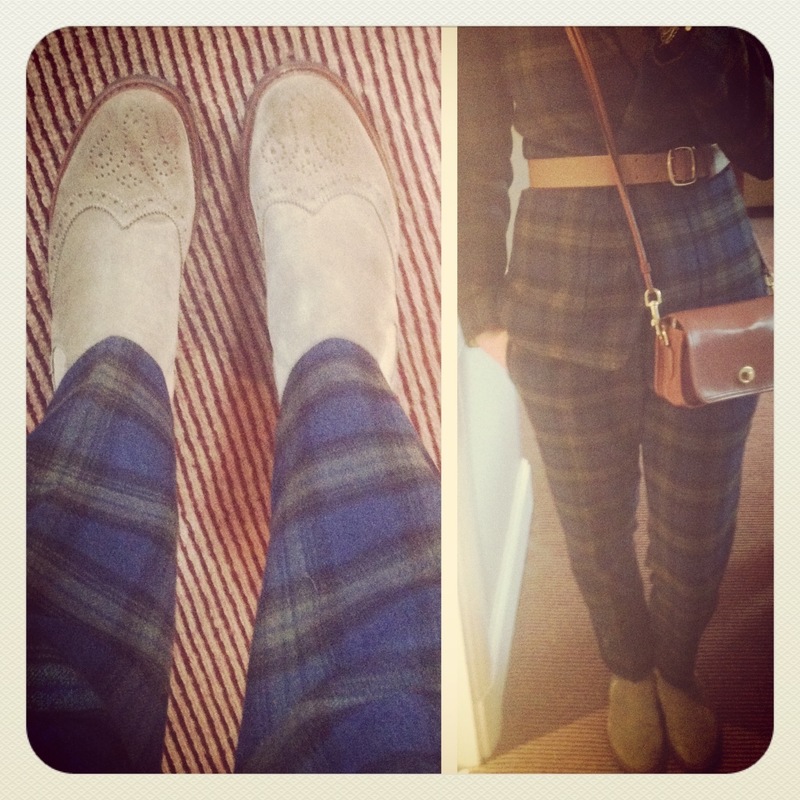 This morning was so warm and sunny, it was the perfect opportunity to wear my NW3 by Hobbs checked suit to Chanel. I’ve never worn the jacket and trousers together, but I think I got away with it without looking too much like a Bay City Rollers fan! I wore it with my trusty Ludwig Reiter boots, a Raoul belt and Coach bag. Then I changed for Hermes this evening (how posh!) 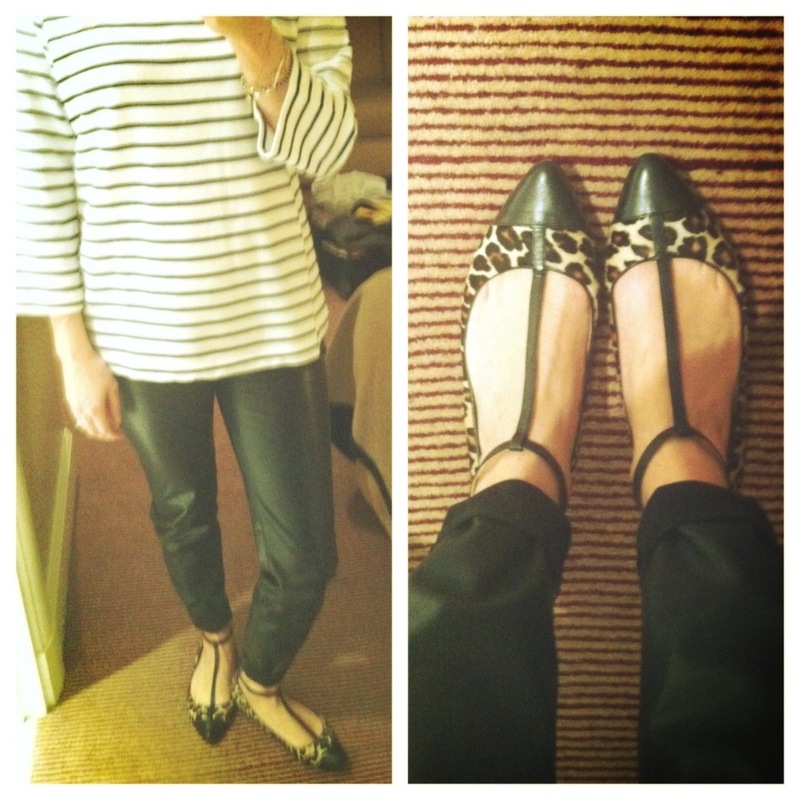 into my Belle by Sigerson Morrison leopard print pumps, with Zara trousers and Fred Perry Breton top. One day left!